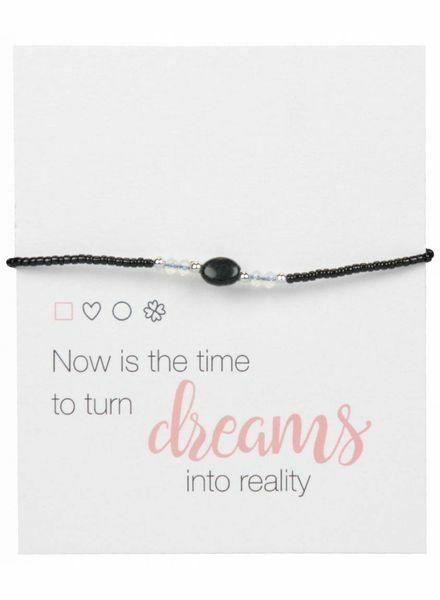 BeYou bracelets with free giftcard. We're in love with these pull-tie musthave bracelets. Jozemiek collection. We are very happy with our BeYou bracelets with quote cards! Which color of BeYou bracelet are you going for? 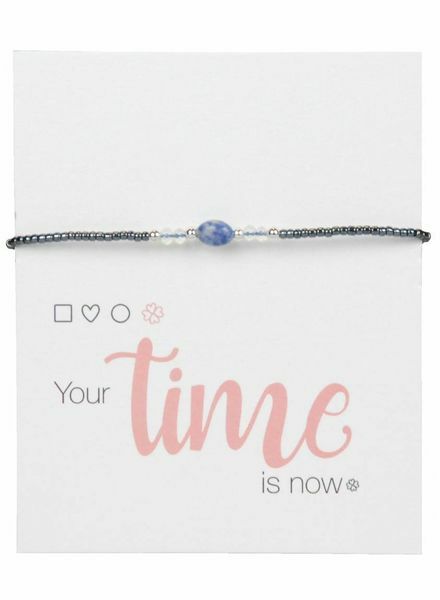 Are you going for a bracelet for yourself or for your BF (F) or maybe your mother? Everything is possible! This minimalistic bracelet is an absolute must for the summer! Easy to combine with other bracelets or a watch. We love the silver color bead bracelet with an open square in the middle. Perfect to mix and match with other bracelets. 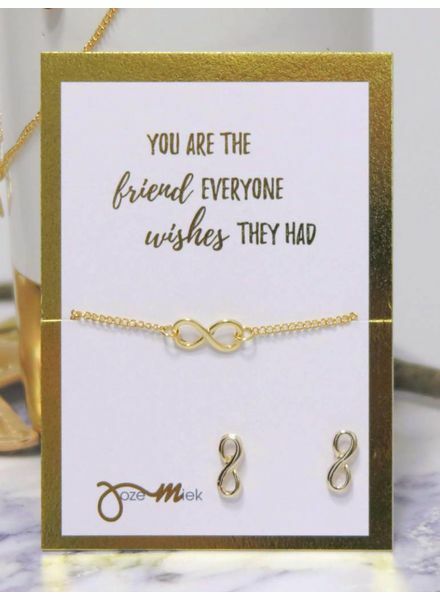 This super cute card with 14K gold bracelet with circle you must have! The bracelet is made of 14k gold and is very nice to combine with other gold colored chains. Combine the bracelet with gold jewelry to complete your outfit. This super cute card with 14K gold bracelet with square should you have! The bracelet is made of 14k gold and is very nice to combine with other gold colored chains. Combine the bracelet with gold jewelry to complete your outfit. This super cute card with 14K gold bracelet with triangle you must have! The bracelet is made of 14k gold and is very nice to combine with other gold colored chains. Combine the bracelet with gold jewelry to complete your outfit. This super cute card with 14K silver bracelet with square you must have! The bracelet is made of 14k silver and is very nice to combine with other silver chains. Combine the bracelet with silver jewelry to complete your outfit. This super cute card with 14K silver bracelet with triangle you must have! The bracelet is made of 14k silver and is very nice to combine with other silver chains. Combine the bracelet with silver jewelry to complete your outfit. This super cute card with 14K gold bracelet with bar should you have! The bracelet is made of 14k gold and is very nice to combine with other gold colored chains. Combine the bracelet with gold jewelry to complete your outfit. This super cute card with 14K gold bracelet with starlets you must have! The bracelet is made of 14k gold and is very nice to combine with other gold colored chains. Combine the bracelet with gold jewelry to complete your outfit. 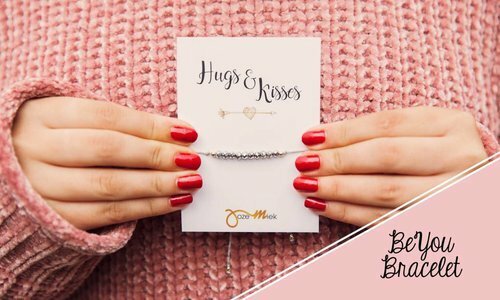 This super cute card with 14K silver bracelet with bar you must have! The bracelet is made of 14k silver and is very nice to combine with other silver chains. Combine the bracelet with silver jewelry to complete your outfit. 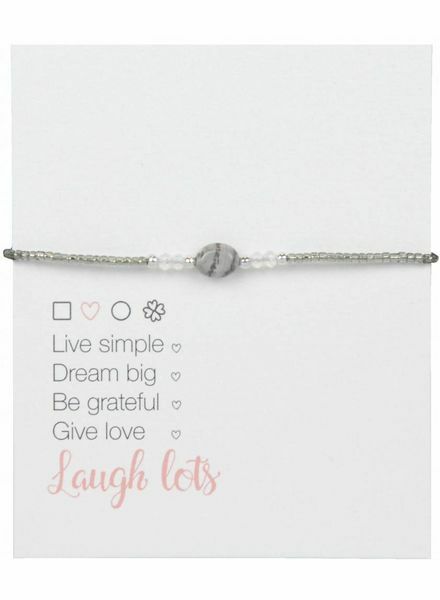 This super cute card with 14K silver bracelet with starlets you must have! The bracelet is made of 14k silver and is very nice to combine with other silver chains. Combine the bracelet with silver jewelry to complete your outfit. This super cute card with 14K silver bracelet with heart should you have! The bracelet is made of 14k silver and is very nice to combine with other silver chains. Combine the bracelet with silver jewelry to complete your outfit.